Melbourne, Australia (March 14, 2019) –BirdDog (www.bird-dog.tv) today announced the immediate availbility of Comms Lite, the World’s First NDI Audio Intercom system, via free download. BirdDog Comms Lite is the industry’s first Audio Intercom System that integrates live video camera feeds by harnessing the true power of NDI and is 100% free for all BirdDog customers. Comms Lite enhances the already powerful NDI hardware solutions and further reduces the amount of equipment needed for a live production. Touch: In the fast paced world of live production, every second counts. 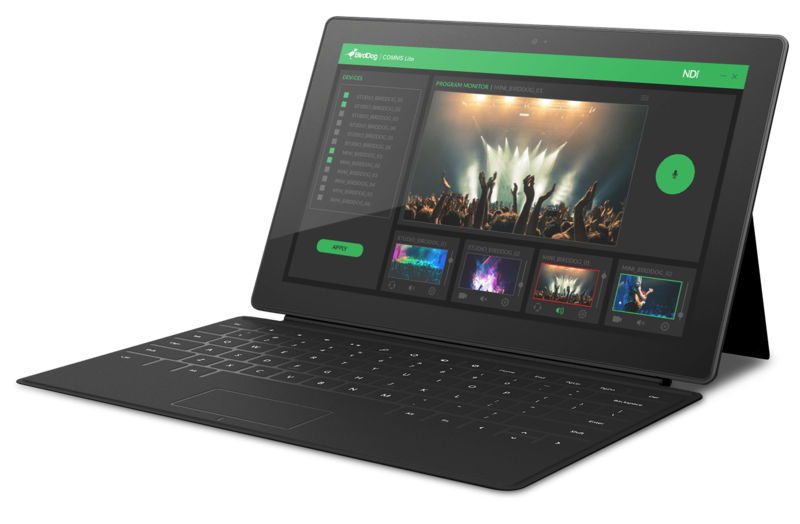 With Comms Lite, a Windows-enabled touchscreen tablet empowers show directors with complete lines of communication to the camera operators at their finger tips. More information? schedule a call with our help center +31317210311 or chat with us! This entry was posted in Birddog, Latest News, ndi. Bookmark the permalink.